Thorntail, originally WildFly Swarm, is the most suitable for packaging applications as JAR, WAR or EAR files. 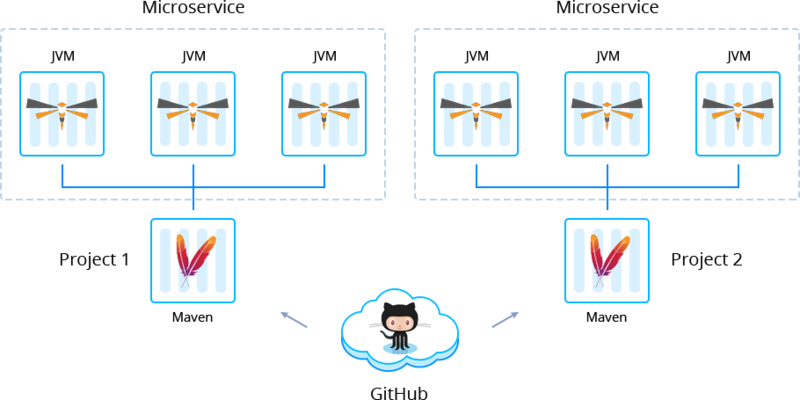 The most important value is in the functional agility the Thorntail provides. 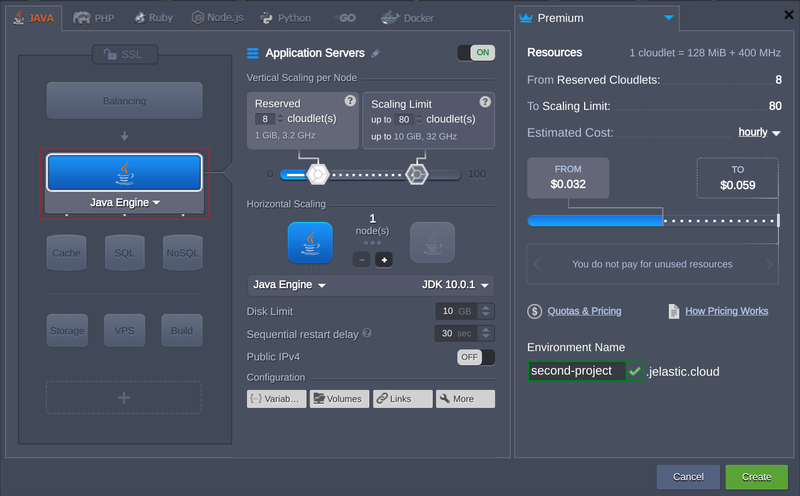 You can start with the stripped down version of Thorntail adding the required parts and application code on top. 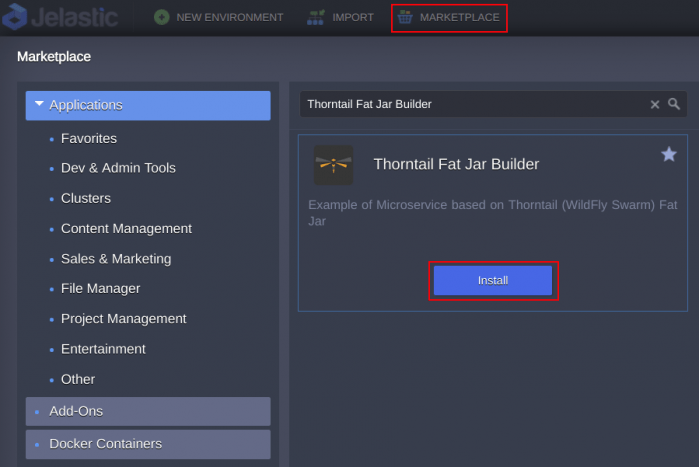 Below we will describe how to build and deploy Thorntail based applications using Fat, Thin and Skinny approaches. 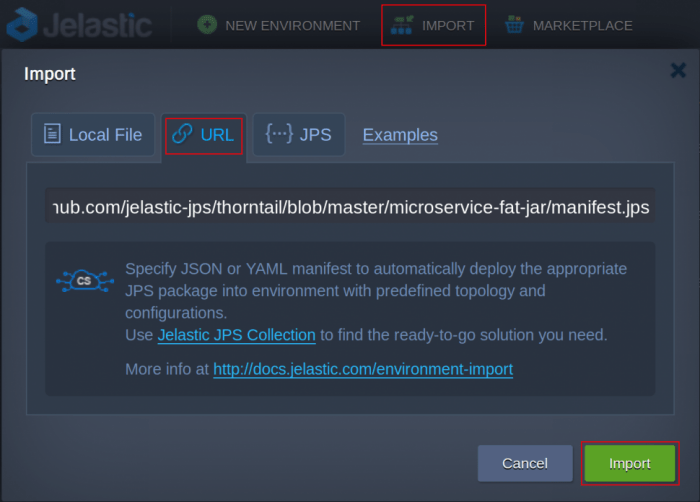 The application will be packaged in the Jar/War format automatically with the help of Builder add-ons prepared by Jelastic. 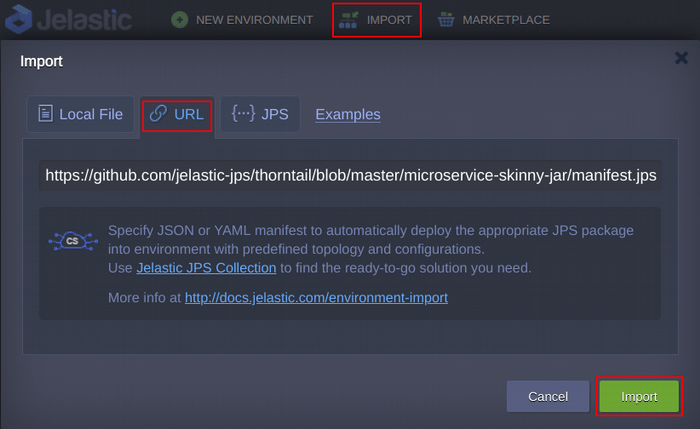 The topology will consist of Maven build node and JVM containers for running microservices. 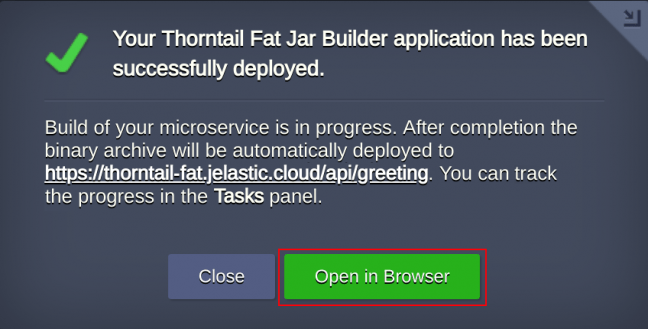 To get started, log in to Jelastic dashboard, find the Thorntail Fat Jar Builder in the Marketplace and click Install. 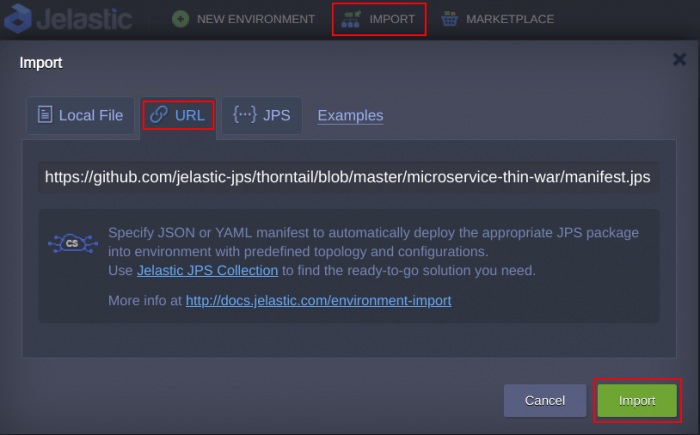 To do that, open the Import window, paste the link and confirm installation by clicking Import button in the opened window. 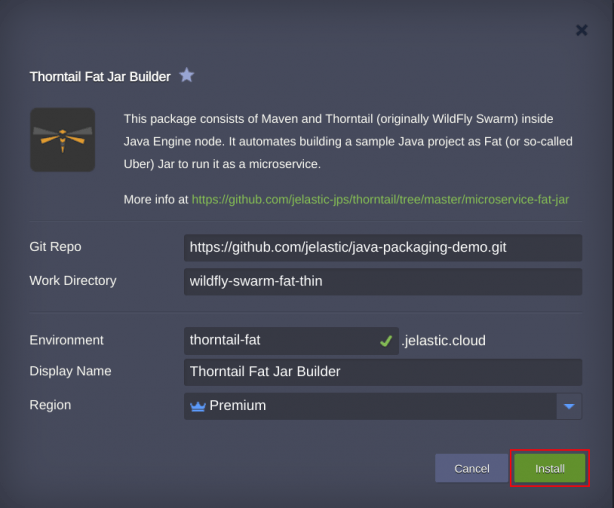 If required, change installation settings such as environment name or GitHub repository link to a custom Thorntail Fat project. Then press Install. 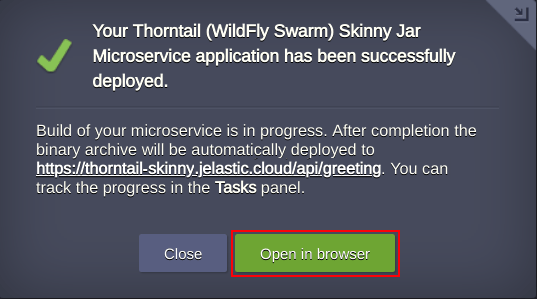 Afterward, you can make sure, that application is up and running by pressing Open in browser button. 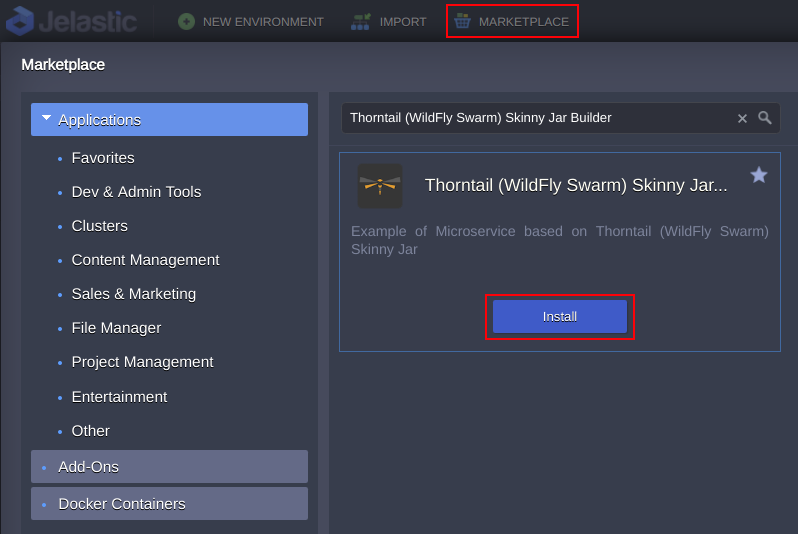 Find the Thorntail (WildFly Swarm) Skinny Jar Builder in the Marketplace and click Install. 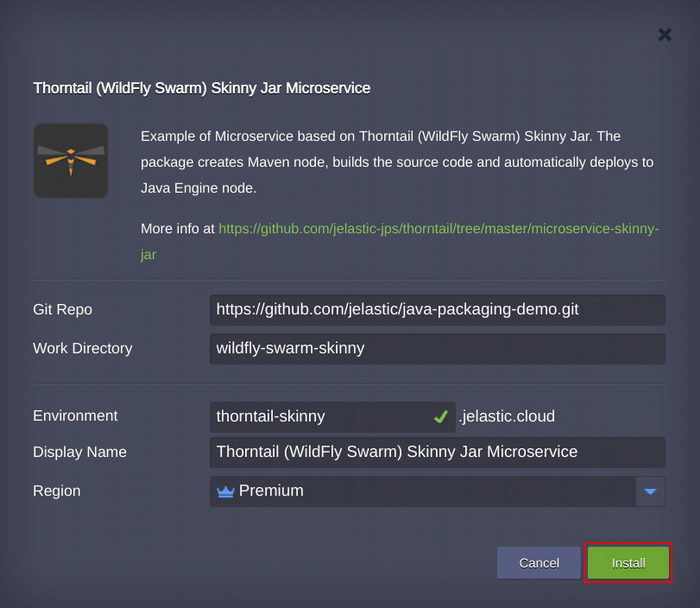 If required, change installation settings such as environment name or GitHub repository link to a custom Thorntail Skinny project. Then press Install. Find the Thorntail (WildFly Swarm) Thin War Builder in the Marketplace and click Install. 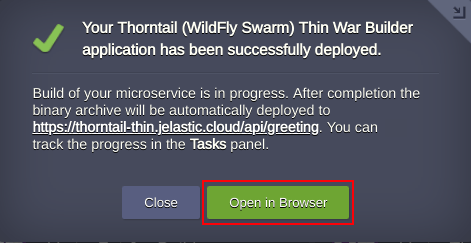 If required, change installation settings such as environment name or GitHub repository link to a custom Thorntail Thin project. Then press Install. 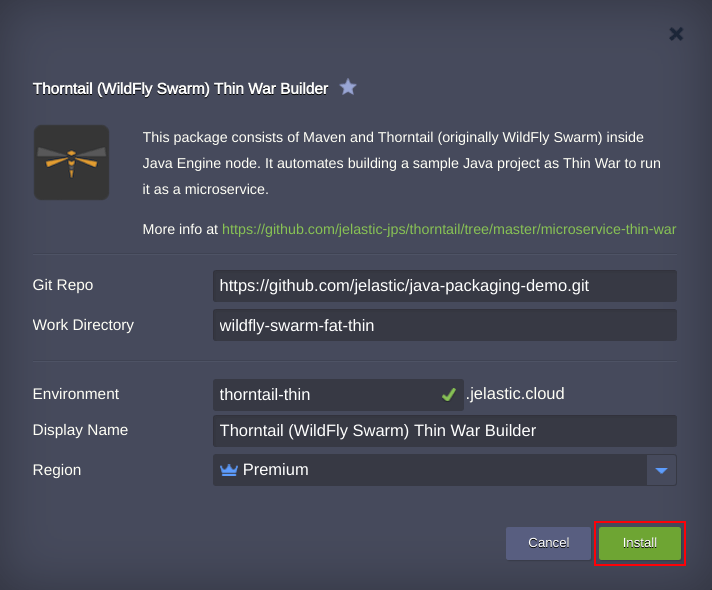 In this way, you can easily build and deploy your Thorntail (WildFly Swarm) based applications packaged as JAR and War files using Fat, Skinny or Thin approach. 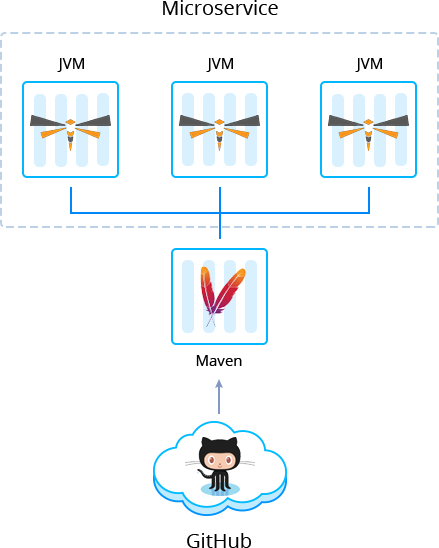 Register and try out this implementation for your custom project to feel the benefits of microservices running in the cloud.